Nearly four years after it was first announced, director Prashanth Neel, actor Yash, producer Vijay Kiragandur are finally ready to open the doors to the world of KGF, perhaps the biggest Kannada film yet in terms of scale and budget. The film, starring Yash and Srinidhi Shetty, explores the milieu of the 1970s-80s, when the gold prices had skyrocketed. Set in the backdrop of the Kolar Gold Fields in Karnataka, KGF is a fictional story which delves into human greed, and shows how a gangster became the messiah for thousands of people in KGF. The team unveiled the first glimpse of the film in early November this year, and there’s every reason to believe that Prashanth Neel’s vision is exactly what Kannada cinema needed to transcend regional and cultural barriers. It’s not everyday that you hear about a film, originally made in Kannada, get a simultaneous release in Hindi, Telugu, Tamil, and Malayalam. But then, KGF isn’t like most other Kannada films. “There’s a universality to the story which we believe will appeal to a pan-Indian audience. The intention was not to make my debut in other film industries. Initially, we thought we would make a Kannada film and release it across the country with subtitles, but then, Baahubali: The Beginning happened and it changed everything for us. The success of that film gave us confidence that we can dub KGF in other languages and release all of them simultaneously,” says Yash. While Baahubali’s success gave them the confidence to go all guns blazing to make a visual spectacle, it was SS Rajamouli, who gave the team wings to fly earlier this year. The principal shooting of KGF began in March, 2016. Long before that, the team decided to cast newcomers for key roles in the film, and all of them had to undergo acting workshops spanning nearly 12-15 months. A significant portion of the film was shot in Kolar, which was once home to India’s biggest gold fields. A dumping yard was turned into a huge set and at any given point, there were at least 500-800 junior artistes on the set, apart from the lead cast and crew. “Some people in the team had reservations about shooting there because the dust in the dumping yard had traces of cyanide, which is used to process gold. We took ample precautions, every member of the unit was insured. During the shoot, we made sure that everyone was hydrated, but shooting in the summer was really tough. We couldn’t shoot for more than 10-11 days at a stretch, and a lot of people fell ill because of the heat and dust. The junior artistes on the set used to hide their slippers beneath the sand; however, even their shoes used to get hot after every shot,” Yash reveals. In a recent interview, cinematographer Bhuvan Gowda revealed that every shot of KGF was captured with a shoulder-held camera, which weighed nearly 40 kgs. “It helped us get a lot of hazy shots, which were required for the film. We tried to use natural lighting while shooting outdoors, and there’s even a shot where the only light source is the light from a match stick. Even the colour palette of the film is mostly red to signify blood, or ‘Japan Black’ which gave a greasy look and raw feel to the frame,” says Bhuvan Gowda. Yash is all praise for Bhuvan, art director Shivakumar, and music director Ravi Basrur. “There’s a lack of awareness about the kind of work being done in Kannada cinema, and I don’t like it when people discriminate against an industry. I’ve always believed that it’s the people who work in the industry who make it big or small. And when we do big films, then people’s perception too changes. I can proudly say that KGF has world-class technicians, and people will really appreciate Bhuvan, Shivakumar, and Ravi for their work. We wanted to do something which would make everyone notice our industry. Our vision was not to compete with other industries, but to create something which is world class in every sense, because like everyone else, we too use the same cameras, same editing software among other things,” Yash avers. Srinidhi Shetty, who won the Miss Supranational title in 2016, is chuffed about making her debut with KGF and says it’s a dream come true to work with the likes of Prashanth Neel and Yash. “I loved Uggram and I didn’t have any second thoughts about saying yes to this film. I’ve always been a movie buff, and even as a kid, I wanted to be on TV. Like most others in the cast, I had no prior acting experience either, and the acting workshops, which would go on for 10 hours everyday, were of huge help. It was a little overwhelming in the beginning, but the whole experience was quite enriching. I knew I was in safe hands,” Srinidhi says. 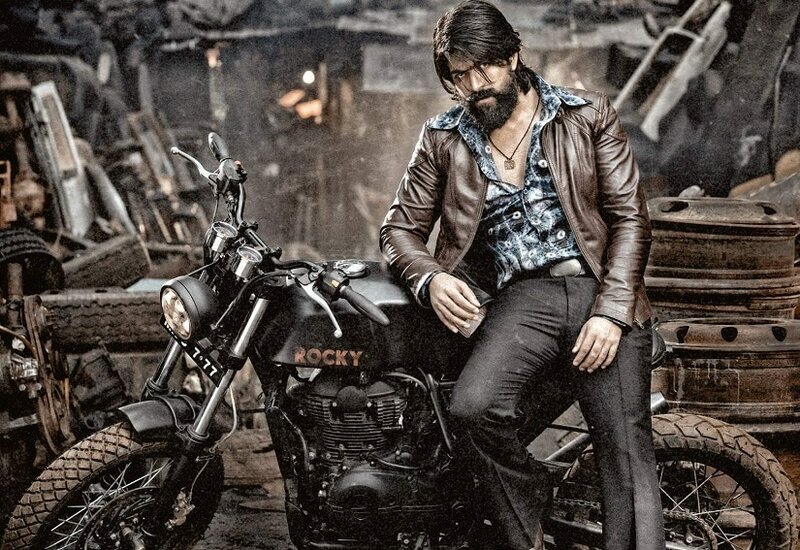 In summer of 2018, SS Rajamouli, who was in Bengaluru for a brief period of time where he met Yash, and in the course of their conversation, the actor showed him some visuals of KGF. And Rajamouli was so impressed with what he had seen that he rung up Shobu Yarlagadda (producer of Baahubali), Anil Thadani (who released Baahubali in Hindi), and Sai Korrapati (producer of Eega) to tell them about the film. A few weeks later, when Yash and his team wanted to release their film in other languages, the actor called up Shobu for some insights on how to distribute and market their film, and to his surprise, the producer was already aware of the film. 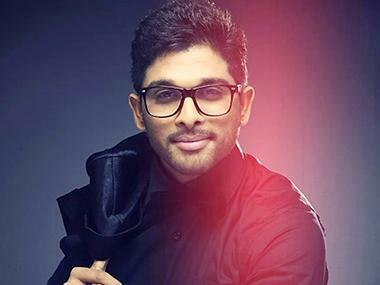 “Shobu had produced one of my Kannada serials several years ago. When I reached out to him, I was surprised that Rajamouli sir had already spoken to him about our film. It was the same case when we reached out to Anil Thadani and Sai Korrapati. For a man of his stature, Rajamouli is extremely kind and generous. He didn’t even watch the whole film. I was bowled over by his gesture. It really means a lot to us that he was helping out a film from our industry too to reach a wider audience,” Yash confesses. On a similar note, Prashanth Neel credits Rajamouli for inspiring scores of filmmakers like him to dream big. “The biggest reason why we had the confidence to release KGF across the country is because of Rajamouli and what he did to Indian cinema. He has blurred all the lines and boundaries, and allowed us to dream big. Now, budgets seem like a very small aspect when your vision is big,” Prashanth said at an event in Hyderabad. The D-Day is fast approaching for KGF’s team, and whether it does well or not at the box-office, there’s no denying the film has pushed the envelope for Kannada cinema. Prashanth Neel is all praise for Yash and producer Vijay Kiragandur for their unflinching faith in him. “The biggest gift a director can get is liberty and time, and both of them gave me that gift in abundance. The only way a madman can create something original is when there are more madmen, who are willing to support him. KGF started as a Kannada film, and it just kept bigger and bigger. And throughout this journey, neither Vijay nor Yash allowed me to compromise anywhere,” Prashanth confessed. Both Yash and Prashanth are clear that they are only testing the waters in the rest of the industries with KGF: Chapter 1. “The real potential of KGF will be evident when we release Chapter 2. That will definitely be bigger in every possible way compared to KGF: Chapter 1. But right now, I’m in no mood to think about Chapter 2. It’s been a long and grueling journey for all of us, and we have to take a long break before we start filming again. I’ve to spend time with my family and my newborn baby too. This December could not be more special for me,” says Yash, beaming with joy. KGF is slated for release in Kannada, Hindi, Telugu, Tamil, and Malayalam on 21 December.